While all the major telecom carriers setting up their base stations, they use fiber networks to connect all the base stations, mostly because they require massive data bandwidth and the stabilities of the network quality. And obviously, fiber network does a great job. 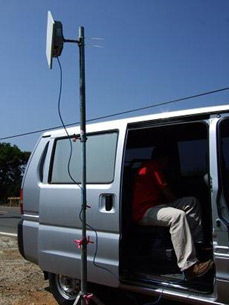 But they are difficult to deploy over valleys or waters, and this is when wireless transmission is needed better than fiber. Then how about Wi-Fi? Is this a considerably matured wireless network system? Well, the answer is negative, the main reason for that is when the distance various, the signal is fading and causing a very unstable transmission. 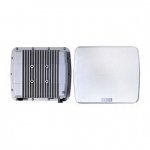 So we are offering WiFD2 wireless backhaul bridges. FD2 as known as FDD technology, which use 2 different frequencies to transmit data, one transmits, the other receives to ensure the stability of transmission even in long distance, for no matter receiving or sending data they are not crossing to each other, so WiFD2 wireless backhaul is better, especially in main frame networks. The KW1850 series which fuctions as enthernet bridges are designed for point to point(P2P) applications. 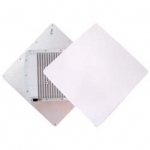 These outdoor wireless backhaul bridges can built up a low packet latency and high bandwidth connection between two buildings functions with PoE (Power over Ethernet) power supply and waterproof, dustproof, coolant features. Featuring native FDD, native Ethernet transport and full software configurability and upgradeability, the KW1850 series wireless backhaul bridge is designed to meet demanding backhaul requirements of enterprise organizations and service providers. View the product specifications from the links below or contact us for more information.